A season ago, Sale pitched to a 12-4 record with 237 strikeouts and 2.11 ERA. 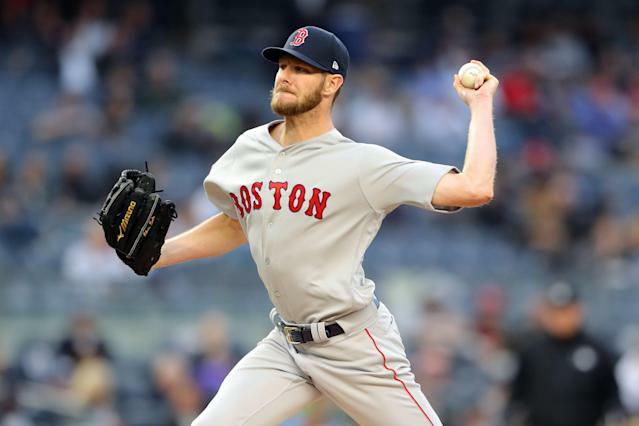 Now, Sale is 0-4 after Tuesday’s loss with an 8.50 ERA in 18 innings pitched. Sale, who typically pitches late into games, has only reached the sixth inning once this season. Red Sox manager Alex Cora was a bit more kind in talking about his ace telling reporters, “I won't be surprised if in his next start he's right where we need him to be. ... He's very close to the "real" Chris Sale." Chris Sale isn’t the only player on the 2018 World Champions who is feeling down. Mookie Betts, the 2018 AL MVP, also echoed similar sentiments. He is currently slashing .212/.321/.394 through 78 plate appearances. Last season, Betts hit .346/.438/.640, with 32 home runs. The Red Sox will play the Yankees again on Wednesday.